Another great review from a national magazine! 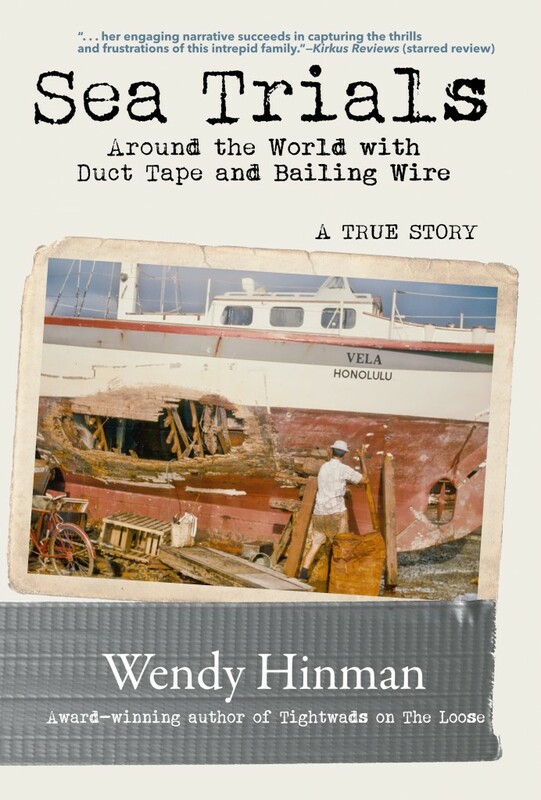 For Sailors who’ve shipwrecked on a reef or who’ve struggled , sleep-deprived and half awake, to make urgent night-time navigation decisions, prepare for some PTSD in the prologue of Wendy Hinman’s latest book, Sea Trials. It’s a story of a shipwreck, and although I’ll leave details to the reader I will say that even armchair sailors will feel their hearts race with the Wilcox family in the cockpit of their 40’ Maine pinky, VELA, on the fateful night of September 19, 1974. After that, rest assured, the book slows down to a familiar sailor’s travelogue pace for 60 chronological chapters that take you around the world and back again to San Francisco Bay. It’s the perfect kind of book for an ocean passage or for too-long winter of rain in Puget Sound or snow in Maine. With consistent literary reviews for her “genuine enthusiasm,” Hinman delivers another book to let you sail away. Garth Wilcox, the “teenage hero” on the voyage whose story is told in Sea Trials, is now Hinman’s husband. 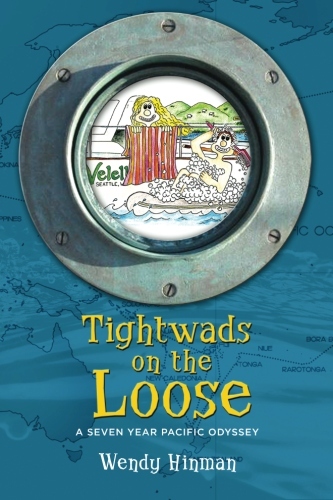 They went on to sail around the world together from 2000 to 2007, a story told in her earlier book, Tightwads on the Loose. In Sea Trials, fans of Tightwads will find the same conversational style, recounting another mix of mishaps, humor, foreign-port intrigue, and (after the prologue) an array of all-too-familiar good day/bad day experiences of boat owners and ocean sailors. Hinman’s stories are undoubtedly real. What distinguishes Sea Trials from her first book and most other circumnavigation tales is the courageous and loving task the author took on: She wove together her husband’s childhood memories, an unpublished draft of his sister’s version of the story (spoiler alert: she loathed the journey), news articles, and interviews. She also drew upon letters sent from various family members to relatives and friends, the ship’s log, and book-inspired reflective interviews with her mother-in-law and father-in-law, who parted ways a decade after their return. The Wilcox family’s voyage in VELA began in 1973, when electronics, sailing guides, and services for cruisers were relatively undeveloped. What made the voyage such a tremendously difficult one at times also makes it heroic, uniquely personal, and refreshingly resourceful. It takes us all back to simpler, albeit tougher, times. Part I of the book sails smoothly until the tragic shipwreck. Part II takes up the aftermath: eight months of hard, nearly impossible-to-fathom work for the Wilcox family. In Fiji, father Chuck, mother Dawn, homesick sister Linda, and young Garth worked tirelessly and with uncommon determination to both save and repair the boat. First, the family unloaded what they could from the wrecked boat to a cinder-block building on an uninhabited atoll. Alone, they rationed food and water. Eventually they were found by local fishermen. Negotiations and logistics for the salvage wore away at everyone’s frayed emotions, but eventually the boat was towed to a boatyard in Suva. Nearly every part of the boat needed work and nearly every dollar they had was spent. By Chapter 34, after dengue fever, an IRS audit, infinite national holidays, brain-numbing heat and sweltering humidity, they finally sailed away, forever changed. Every member of the family was pushed to a breaking point. The boat, too, would never recover. For ocean travelers, the place names and ports around the world cycle through the book with familiarity like constellations. Names of people, businesses, and details of the scenes, though, are mostly history now. When the Wilcox family anchored to get fresh water in the Marquesas, Daniel and his wife showed them around. At the remote atoll of Suwarrow, Tom Neale came out to greet them and shared vegetables. In Australia, at that time, customs clearance was “laid back” for cruising sailors, though piles in the river are still the “cheapest moorage in Brisbane” and “southerly busters” and “crocs” are still a worry “up the reef.” In 1976-77, half of the cruisers in the Indian Ocean were opting for the Red Sea route, and instead of a threat of piracy or international conflict, their focus of “horrors” was on the headwinds. Israel, Turkey, Cyprus, Morocco. Without Guidebooks and with a freedom that is no longer feasible today, the Wilcox family went wherever the winds of the Mediterranean took them. Sailing to the Caribbean Sea and then the Panama Canal, they found themselves back among Americans, but in four-and-a-half years, much had changed. The economic gulf they saw between themselves and other cruisers was “of epic proportions.” The costs, and news that Chuck’s father was sick and his health failing, compelled the family to return home to California. The final passage is also epic. At one point in the voyage Garth wrote “NUTS,” in the log. His father wrote “Or DJL [Davey Jones Locker].” His sister wrote, “I HATE THIS.” VELA sailed through wind and calm, her bottom covered with barnacles on barnacles; she had a broken toilet, a 6’ wildly dislodged spreader, and a broken watch upon which they were totally dependent for their celestial navigation, along with dwindling food, water and fuel. 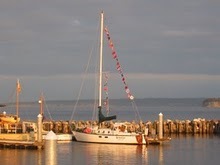 The Wilcox family finally sailed into San Francisco Bay on July 2, 1978, 86 days from Panama. There was no fanfare. The month-overdue yacht was at first even overlooked by the Coast Guard. After years away, the family struggled to fit in and, like most ocean sailors, they never will. On their first night ashore in their former Palo Alto home, they slept together on the boat cushions one last time. Soon, VELA was “adopted” for $14,000. Only Garth ever sailed again. It’s one thing to write your own tale of a sailing journey, but in Sea Trials, Hinman has written a tribute to her husband and his family. It’s a book of love. She’s also contributed rare, timeless and now mostly impossible-to-repeat sailing experiences for the world sailing audiences. It made me long to be on the ocean again, without electronics, 24-hour world news, satellite monitoring of our location, and blogs. It made me grateful to be one of the tribe who holds onto the lessons and love of bluewater as if life depend on it. We cherish the verdicts of our own Sea Trials. Kaci Cronkite lives in Port Townsend, Washington, and wherever the wind blows. She’s the author of FINDING PAX: THE UNEXPECTED JOURNEY OF A LITTLE WOODEN BOAT. Learn more at www.kacicronkhite.com. 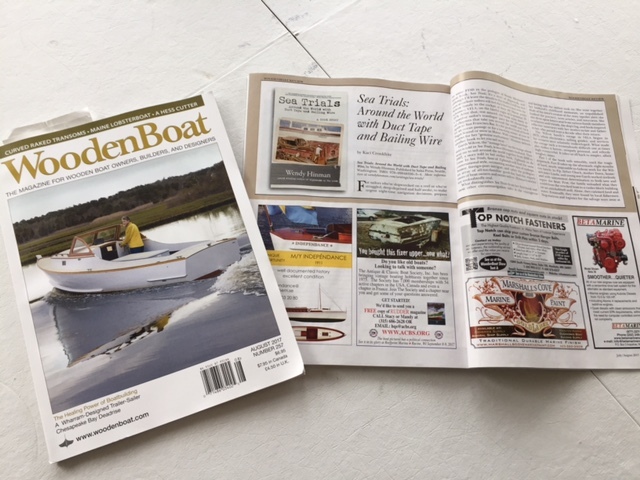 This entry was posted in Boating, Reviews, Uncategorized, Writing and tagged media coverage, Reviews. Bookmark the permalink.